Contents insurance is a stand alone policy that protects the physical items within your business premises. But, it can also be included as part of the commercial combined insurance package. Whether you’re a cafe owner, manufacturer or work in office- you’ll need quality cover to protect your furniture and equipment. If you were to lose the things your business relies on, your contents policy would cover you financially. That way, you can replace or repair them quickly. What does business contents insurance cover? Which type of contents insurance do I need? Indemnity contents insurance: This policy pays for exact replacements of stolen or damaged items. 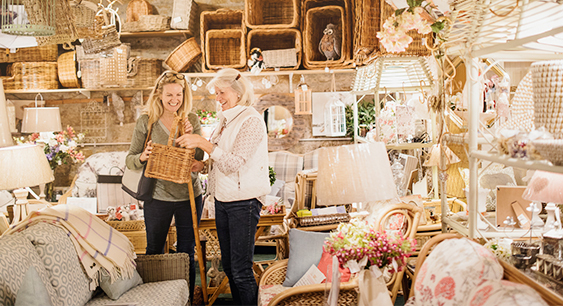 New for old contents insurance: This cover pays for brand new replacements of damaged or stolen items and is the preferred option for most businesses. What other insurance policies do I need? If you don’t have office or commercial combined insurance, the structure of your premises won’t be covered, so you’ll need commercial property buildings insurance to protect against damage to the bricks and mortar. You may also need public liability insurance if customers are visiting your office. This would cover compensation costs and legal fees if a customer was to injure themselves or if their property is damaged. You’ll need employers liability insurance if you have one or more employees, volunteers or freelance staff at your office, as it’s a legal requirement. This will protect you against claims if they have an accident or their property is damaged at work. How much is business contents insurance? Protect your business now - call us on 0800 970 0077 Our experts will compare quotes from the UK’s most trusted insurers and adapt your insurance to suit the needs of your business.